My name is KP Kwan. I live in Asia and work in my restaurant every day. This blog is about my recipes, my experience and culinary skills that I gained from my hard work. Most of the topics are related to Asian food and east-west fusion food. I normally write in as much detail as possible, based on my experience of and findings on food. 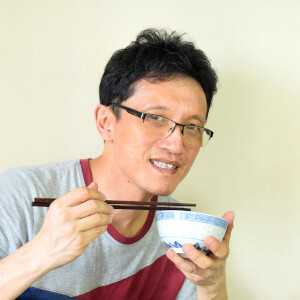 I am a pharmacist turned restaurateur who lives in Kuala Lumpur, Malaysia. I have worked in my restaurant for over ten years and since 2012, I have stopped my pharmaceutical practice and devoted all my time to refine all the recipes and further developed new recipes for my restaurant. Whenever I am free, I document all my recipes as the reference for my staff and colleagues. I have also taken numerous pictures of the entire cooking process of my Asian food recipes. With all this information at hand, I thought it would be a good idea to share this with everyone so that they could reproduce my time-tested recipes at home. That is why I finally decided to put all the information together and publish this Asian food cookbook. Asian food is immensely flavorsome, delicious, cooked with a myriad of oriental herbs and spices. I really want to introduce Asian food to everyone, especially to people from the western countries who may not be familiar with the correct methods of preparing Asian food. I realize that many Asian food recipes available on the internet are not written by a native Asian chef who works in Asian countries. I am fortunate to be living in a multiracial Asian country with a huge population of Chinese, Indian, Malay, Thai, Japanese and Vietnamese people. The authenticity of my ethnic recipes is constantly validated, commented on and endorsed by native people from various nations. Enjoy reading my Asian food blog.